LJMU is a member of Sloan Digital Sky Survey – an international collaboration of scientists at numerous institutions. One of the projects of this collaboration is APOGEE (the Apache Point Observatory Galactic Evolution Experiment) which collects infrared data for hundreds of thousands of stars in the Milky Way. 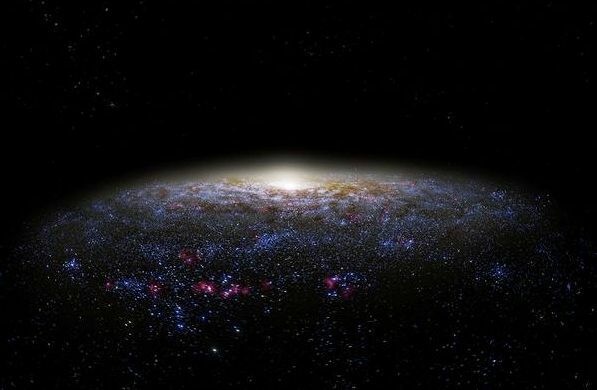 It was through observing stars in the infrared towards the Galactic center that led to the discovery of a new population of stars, the likes of which had only been seen before inside globular clusters. This intriguing new family of stars could have possibly belonged to globular clusters that were destroyed during the violent initial formation of the Galactic center, in which case there would have been about 10 times more globular clusters in the Milky Way in early life than today. This means that a substantial fraction of the old stars inhabiting the inner parts of the Galaxy today may have been initially formed in globular clusters that were later destroyed.